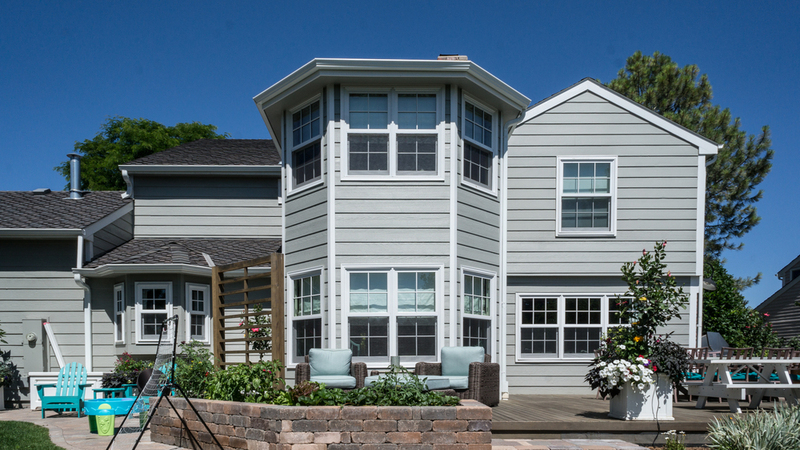 The live-in client came to us with an existing 2535 SF home and a non-functional master suite. With a growing family, we were challenged to study an addition expansion to the second level of the home. After various iterations, the decision was made to expand over the existing 1 story turret, and convert the gained square footage into a spacious master bath suite, which allowed for a new layout and remodel of the 2nd level program. This is an example of a small 132 SF addition, having a big impact on overall floor program. Working collaboratively, interior design and finish selections were done by Armijo Design Group.